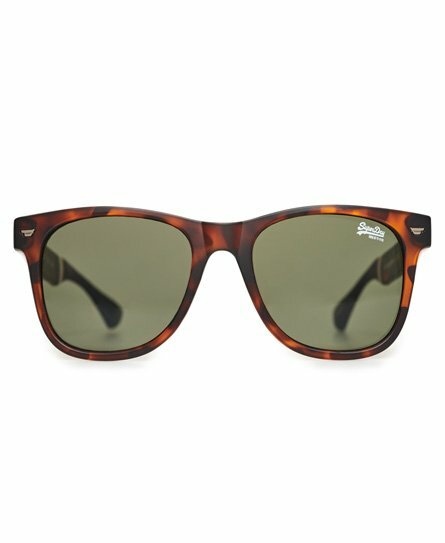 Superdry men's SDR Superfarer sunglasses. Classic in style, these sunglasses are sure to be your new go-to this season and feature a small logo in the corner of one lens, subtle logo branding across the top of the frame and tri colour banding on the arms. Filter category- Category 3, providing high protection against sunglare ISO 7000-2950.